Publishing has undergone a massive transformation over the course of the past decade or so. In the midst of the financial crisis and the coinciding boom in technological developments, the printing industry as a whole witnessed more than its fair share of plummeting annual revenue and subsequent transitions. But in recent years, the economy has come back and stabilized, and publishers have begun to emerge from the depths of the recession accordingly. Recent statistics show that the industry is particularly strong in the magazine sector, and that new startups are outnumbering publications that are forced to shut down, a development that reflects the amicable economic climate. FOLIO cited statistics from a MediaFinder report, which found that 60 magazines began publishing in the first half of 2015, while just 23 went out of business. 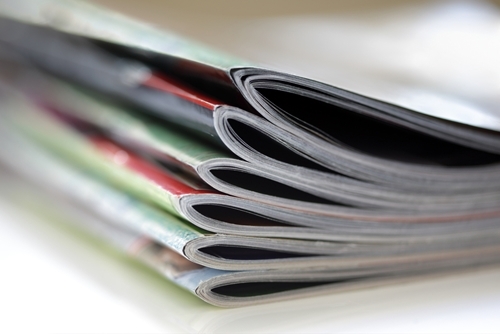 This net gain of 37 publications shows that there is market demand for quality, long-form content that magazines can meet more aptly than newspapers or online sources. The 23 closures represent the lowest number recorded since MediaFinder began tracking these statistics in 2009 – perhaps the worst period of time during the recession. In fact, a staggering 279 magazines ceased operations in the first half of that year, a figure that further enforces optimism for the present and near future. Magazines appear to be coming back, but there are certain factors that can establish a successful brand and set it apart from its peers. Adam Rapoport, editor-in-chief of food magazine Bon Appétit, wrote in an article for AdWeek that the first step to achieving sustainability with a new publication is to have a passion for the subject matter. He said that if you love what you're writing about, and present it in a way that reflects your intensity, you are likely to find an audience that shares this level of enthusiasm for the topic. Niche magazines are all the rage, because consumers are appreciating quality prose and attention to detail in order compensate for the dearth of thoroughness that has become the standard in news journalism. Fast Company interviewed Rebecca Wesson Darwin, president and CEO of Garden & Gun, a southern lifestyle publication. She co-founded the magazine in 2007 – right before the financial collapse. But instead of crashing and burning like many of her peers, Darwin boldly built up a strong and loyal constituency – Garden & Gun did not just survive the recession, it grew throughout it, culminating in a reach of 1.2 million readers in 2014. Darwin asserted that the most important aspect of long-term sustainability is to establish relations with consumers early on, and to maintain them as time passes. She rather audaciously predicted that the publication would have a circulation of 150,000 when the organization first starting printing. The average for comparable magazines at the time was between 20,000-40,000. This boldness struck a chord with audience members, and they have remained loyal to the brand. 3. Put yourself in your audience's shoes: Would you read your own content? Rapoport said that in order to create content that is memorable and recognizable, you have to ensure that it appeals to the audience – including yourself. If your articles do not reflect the nature of the subject, they will not resonate. For example, Rapoport's magazine focuses on food, so the content is often light-hearted and fun to best appeal to readers with an interest in that area. The importance of being versatile in 2015 cannot be understated, Rapoport advised. Your publication should exist in both print and digital formats, and consistency across platforms is imperative to create a sustainable brand. Darwin's publication receives almost universally positive reviews, but that doesn't mean that she ignores detractors, as rare as they may be. She said she believes successful magazines have to constantly be on the lookout for ways to improve upon their success, and get creative to best meet the desires of the highest number of consumers. Also, subscription-based profit is never a guarantee, so finding new incentives for advertisers to be involved can offer a healthy cushion of revenue that can sustain the organization even in bad times. Implementing the use of metrics is an important element of making business decisions, Rapoport said, but it is vital not to cave to the demands of focus groups and statistical trends. He argued that maintaining a fresh, genuine and innovative perspective is the only way you can remain viable and build new customer relationships. Data can provide great insights into certain financial and operations aspects – such as investing in new technology – but the numbers should never take priority over the raw ingenuity that inherently comes with the mentality of running a startup.